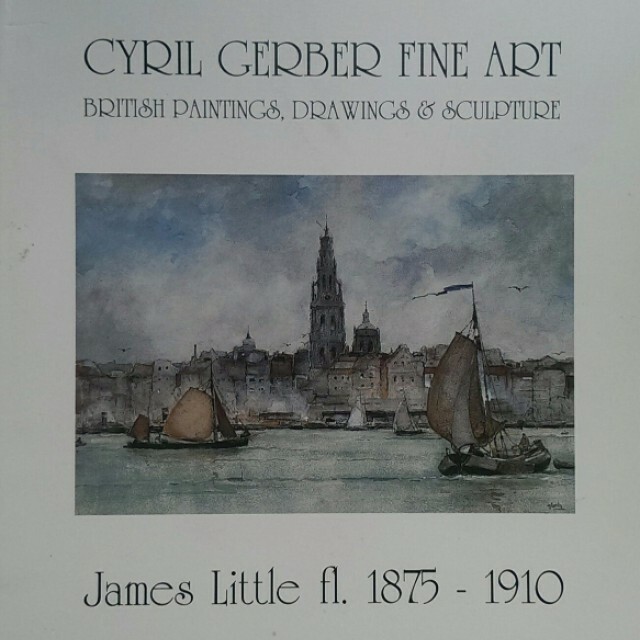 A surprisingly limited amount of information is available about the life of the 19/20th century Scottish watercolourist, James Little. What is certainly known is that he lived in Edinburgh and between the years of 1875 and 1910 he was a regular exhibitor in the Royal Scottish Academy, Edinburgh and the Royal Glasgow Institute of the Fine Arts. Little clearly loved the old closes, lanes and market places of Edinburgh and painted them with delicacy and affection to the delight of large numbers of collectors. He is also represented in the collection of the City Art Centre in Edinburgh. Little's own search for suitable subjects in more distant places took him to London, Paris, Dieppe and the waterways of Holland and Belgium. It was during these travels that he produced many of his most sensitive and subtly toned watercolours of harbours and fishing boats around Dordrecht, Ghent, Bruges and Amsterdam. We are pleased to be able to include a selection of these in the exhibition.